Invest in what your people truly care about at work. What does it mean to ‘keep up with the Joneses’? 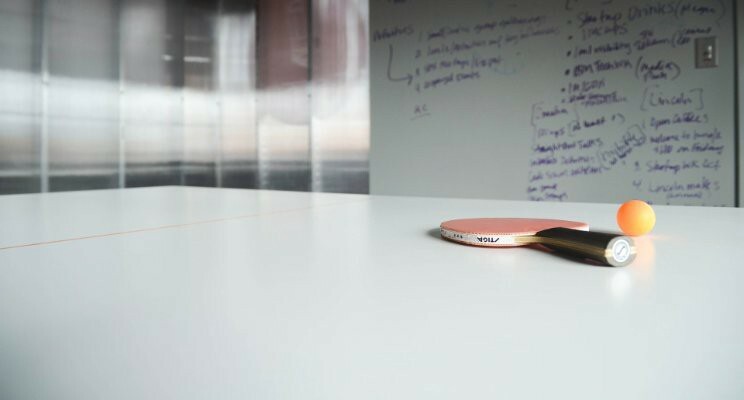 It means spending money on a cool, open and fun office space with beer taps, free lunches and of course a ping pong table. 1. All your competitors have the same type of space and perks. 2. Incentives (external motivators like office perks or a cool space) don’t work to create a lasting commitment. Now the employee is left evaluating their job for what it truly is, for the challenge, the opportunity and the culture. You’ve now spent thousands of dollars to attract, recruit, interview and train this millennial. How much have you devoted to keeping them engaged and challenged? Before spending another dollar on more snacks that your people take for granted, take the time to assess WHY you are providing each benefit. What is the intended purpose? What benefit is it meant to give your employees? How does this connect with the larger company vision and mission? If you can’t come up with powerful answers to these questions, then you should dump the perk. Be clear with your people and let them people know why. This helps set the example that you truly care about the company and only invest in opportunities that move you towards your vision. If you do have a powerful why take the time to share this with your people. Give them insight into these reasons. Help share with them the common goal you’re trying to achieving by providing this benefit. You will be surprised how an assumed benefit can easily be misunderstood and misconstrued. By aligning your actions and how you spend your ‘People’ dollars, you motivate your employees to be an integral part of the journey, not merely passengers on the train. Aaron is the Founder and CEO of Raise The Bar, a firm focused on helping companies retain their millennial talent. Originally published at www.raisebar.co on January 25, 2017.